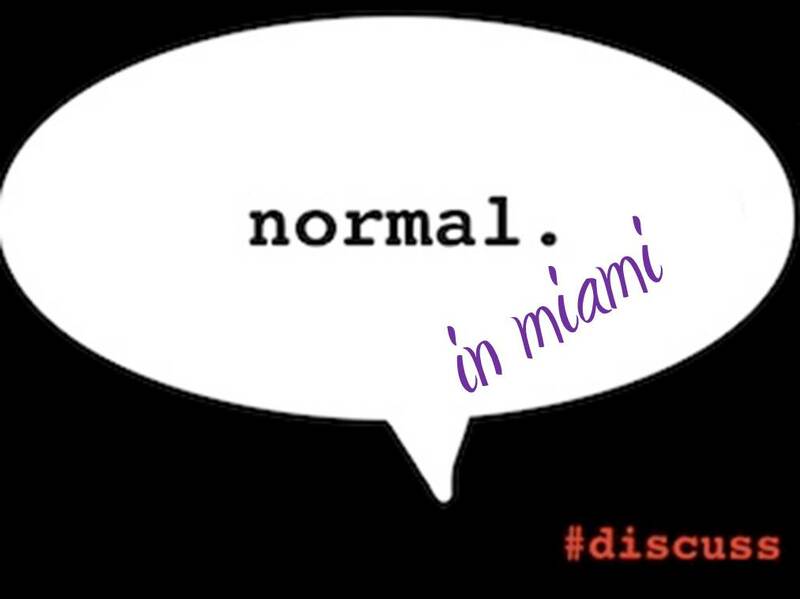 The juxtaposition of styles and acceptance of the anything-goes attitude are two sides of Miami’s colorful personality that I’ve come to know and love over the past several months. Land of the plastic? Sky-high heels? Even higher outfit prices? Layers of make-up, spray tan, and hair mouse? Size zero? Conclave abs? Sure. The stereotypical “Miami” is alive and well. What’s also alive and well is, well, literally everything else. For the most part. Make Up – For every overly done face, there’s another one that is completely bare, save some chap stick and maybe mascara. I’ve worn less makeup in general since I move here, a realization that honestly surprised me. I think it goes hand in hand with the fact that you are just as likely to see somebody impeccably dressed and made-up on the street or in the store as you are to see somebody in shorts and a sports bra, with zero makeup, slightly sweaty. Both are expected and acceptable public states of appearance. Clothes – Yes, designer brands abound, and their wearers make sure you notice. There’s also an abundance of yoga pants, shorts, t’s, tunics, tanks, torn up scraps of fabric, and god knows what else from god knows where. Is that dress too short? Nope. Too long? Nope. Shirt missing a back? Totally fine. No bra? Cool. Bra shows through shirt? Great. Pants painted on? That works. How about if they look more like a bedsheet? That works too. Honestly, wear whatever you want here. As long as you can rock it, nobody will give two flying f’s. The only exception to that would be places that DO still give flying f’s… like traditional workplaces. Duh. Food – What do you feel like eating? Microsize, low cal, zero carb? You’ve got plenty of options, and plenty of company. Prefer a good burger, fried food, or ridiculous sandwich? You’ve got plenty of options for that, too. Both are culturally acceptable, as long as your workout plan balances it all out. That is the catch to this whole concept. While “everything goes”, there are definitely far less overweight people around. If you’re going to feel pressure to be any certain way in Miami, “less fat” is probably most common. Now, there are plenty of variations on that too… “less fat” can mean super muscley, skin and bones, or something in between. Of course there are exceptions for this as well… mainly, if you’re a tourist in South Beach. Feel free to let it all hang out there, toned or not. Hobbies – What are you into? Music? Art? Biking? Surfing? Cooking? Paying other people to cook? Swimming? Dancing? Being drunk? All interests are acceptable here, just make sure you have one. The only thing not acceptable is being boring. And that seems a good way to end this post.